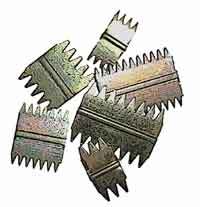 The Tooth Chisel or Claw is used after the coarse carving with the Point. 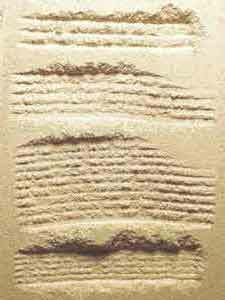 Following the roughing-out, the Toothed Chisels are used to further define the surfaces of the form. 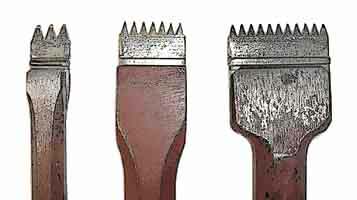 Beginning with varieties that have a few large teeth — such as the two-toothed Calcagnolo pictured at the far left above — and following successively with versions that have both more numerous and finer teeth, the Tooth Chisel is used to refine the form and make the surface contours more uniform and regular. 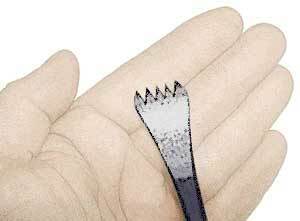 The Finishing Chisel is a type of toothed chisel that has flat teeth, and is sometimes called a Flat-tooth Chisel. 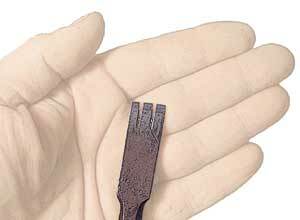 It is basically a flat chisel with the cutting edge notched to create teeth. This flatness allows a more refined uniformity to the surface than other toothed chisels, while the teeth still provide more ‘bite’ into the stone than does a flat chisel. 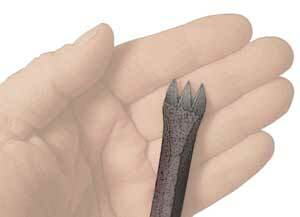 The toothed chisel, with its row of pointed teeth, acts like a rake to even out the surface irregularities left by the point. 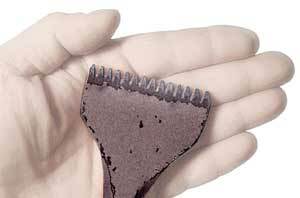 During use the chisel’s teeth should all be in contact with the stone in order to prevent breakage. please be patient, this image is loading . . . Wide tooth chisels are for working broad flat or or convex areas. Conversely, while working tight or concave areas the chisel should be narrow. Coarse or large toothed chisels should be used first, then followed by smaller or finer toothed varieties. 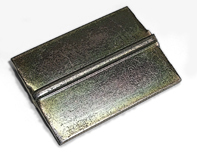 A couple of manufacturers make Skutch Holders in three sizes which allows for a quick change between replaceable inserts of either coarse or fine cutting teeth, or a plain flat cutting edge.